From designing and paginating entire magazines to creating logos, themes and illustrative work for digital use. Photography, virtual staging, writing copy, editing and proofreading your copy! Floor plans, business cards, invitations, stationary and start-up promotional materials for your business. Brochures to advertise yourself, your business, and items for sale or rent. Photo altering, repairing, combining, enhancing, hey i can even make someone look dreadfully disgusting if need be. Newsletters, notepaper, even aisle signs! 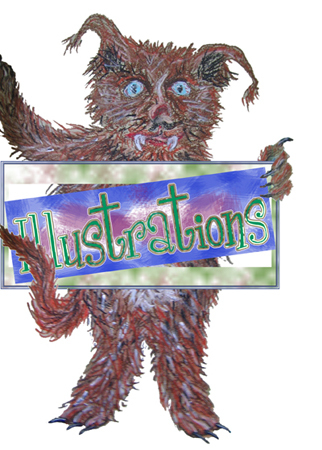 Check out my work by clicking on any of the bars below or the monster above. Thanks!